A Smuggler's Bounty Exclusive! This is the clear version as pictured. Great Funko Mini-Hikari Star Wars figure! 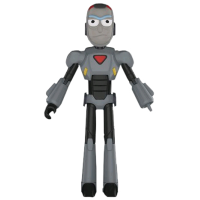 This Vinyl Figure measures approximately 3 3/4-inches tall and come packaged in a window-display box.